Donuts Inc. is a domain name registry with a portfolio of 239 new generic top-level domains (gTLDs), as made possible by ICANN’s gTLD expansion program. It was co-founded in 2010 by Paul Stahura, Jonathon Nevett, Richard Tindal, and Daniel Schindler. The company’s headquarters are located in Kirkland, Washington. The launch for Donuts domains is typically divided into three pre-registration phases: Trademark Holder (Sunrise), Priority Pre-Registration (Early Access) and General Availability. Each phase has specific application requirements. Pre-registration gives you the best possible chance of securing a domain name before it’s available to the general public, but it doesn’t guarantee you will get it. You can pre-register for Trademark Holder Registration, Priority Pre-Registration and General Availability phases, and we’ll submit your application when the phase begins. Multiple applications with different registrars are resolved on a first-come, first-served basis during General Availability. If you are not able to secure the domain name, we’ll refund the registration fee. Trademark holders can submit an application to register a Donuts domain containing their owned mark, before it’s available to the public. The price of a domain registration includes the registration fee and a non-refundable application fee. For example, if a domain name’s registration fee is $39.99 and the application fee is $130, then the total cost is $169.99. The price of your Donuts gTLD may vary based on the domain you search for and pre-register. Bulk registration is not supported during this phase. Note: You cannot cancel your Trademark Holder Sunrise pre-registration application. If you are awarded the domain name, you can cancel the registration but the application fee will not be refunded. A 7-day period that lets you register Donuts domain names at a premium price, and on a first-come, first-served basis. This phase offers the best chance of securing a domain name. Note: Bulk domain registration is not supported during this phase. The first 4 days will have different fees, with day one being the highest and every day thereafter decreasing in price. Days 5 through 7 will be the same fee. The price of a domain registration during Priority Pre-Registration includes the registration fee and a non-refundable early application fee. For example, if a domain name’s registration fee is $30 and the early application fee is $12,500, then the total cost is $12,530. The early application fee is NOT refundable if the domain is rewarded and then dropped. The early application fee is not charged if you do not get the domain. The registration fee is refundable if the domain name is dropped, or if you do not get the domain name. Customers can register Donuts domain names on a first-come, first-served basis. 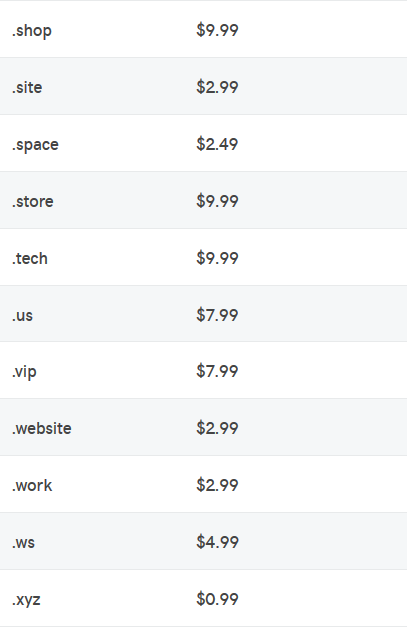 The price of your Donuts gTLD may vary, based on the domain you search for and pre-register. Bulk registration is supported during General Availability. Multiple applications with different registrars are resolved on a first-come, first-served basis. If you aren’t able to secure the domain name, we’ll refund the registration fee. Note: You cannot cancel your pre-registration application. If you are awarded the domain name, you can cancel the registration but the registration fee will not be refunded. What domain names Donuts can register for you ? 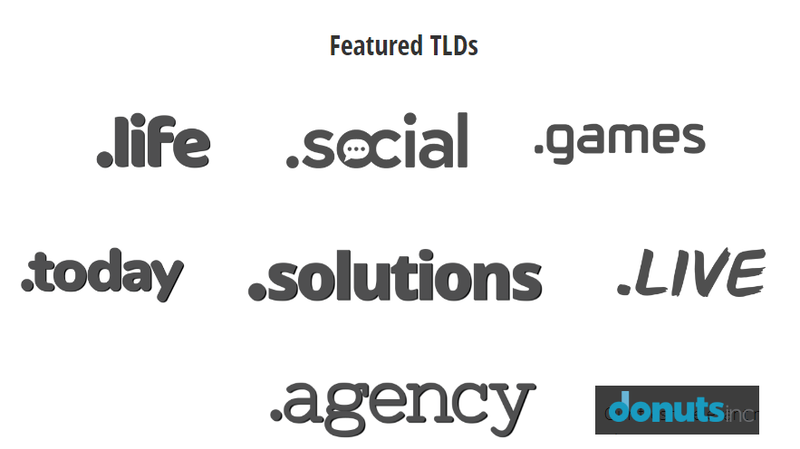 Donuts Inc can register 239 new generic top-level domains (gTLDs) for you.